Time is precious but you need to stay in ketosis! 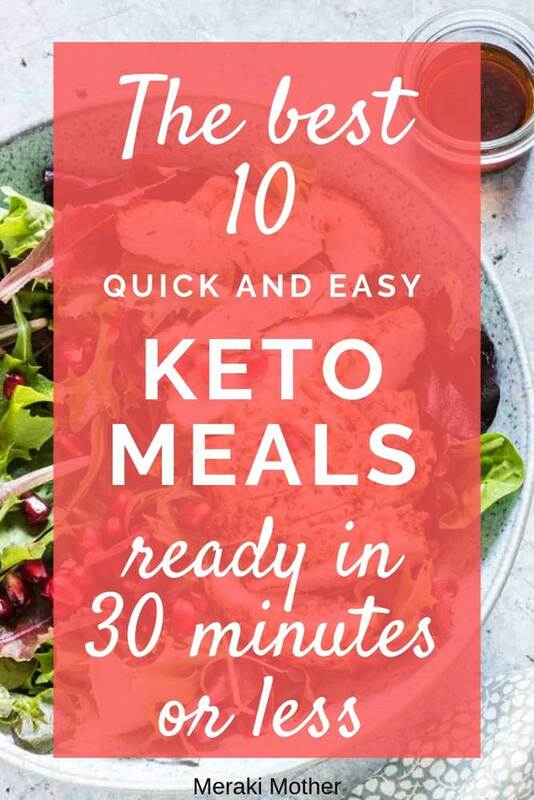 We’ve gathered the top 10 easy and quick keto meals to make losing weight on a ketogenic diet easier! If you love the keto diet plan as much as we do, you will love this post even more! One of the downsides of ketogenic recipes t is that adapting a normal recipe to be keto friendly can be time consuming. But busy moms like ourselves hardly ever have the luxury of time! 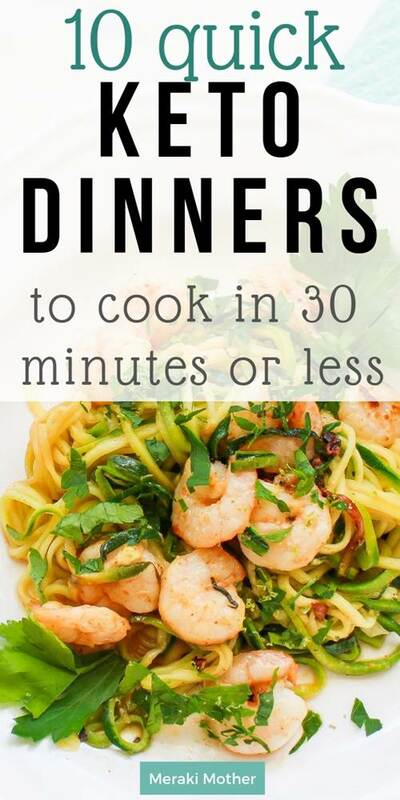 Have you tried preparing a quick meal in under 30 minutes while counting carbs and adapting the recipe, making sure it is all kid friendly to please the non-diet-following folks in your house and succeed at it? We have been doing the keto diet for some time now and I know that some recipes are just winners for both taste and easy to make categories. 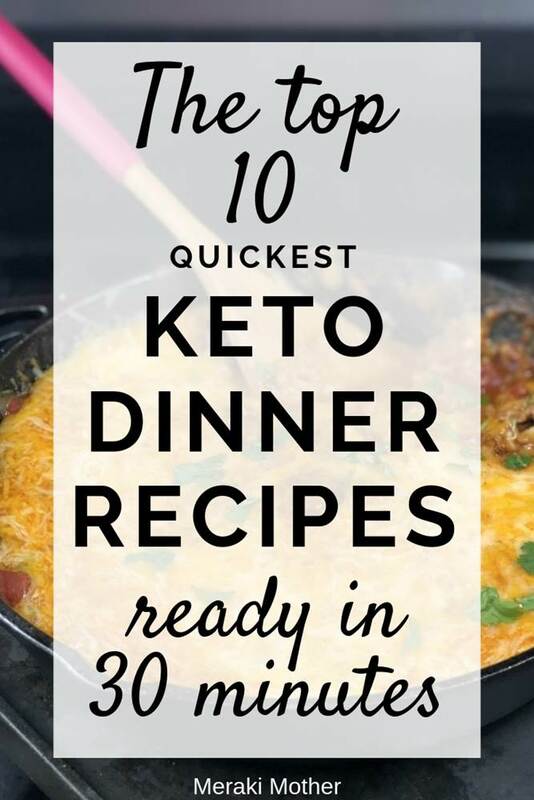 In this post we are listing some of the best quick keto dinners that will make following the keto weight loss diet so much easier for you! 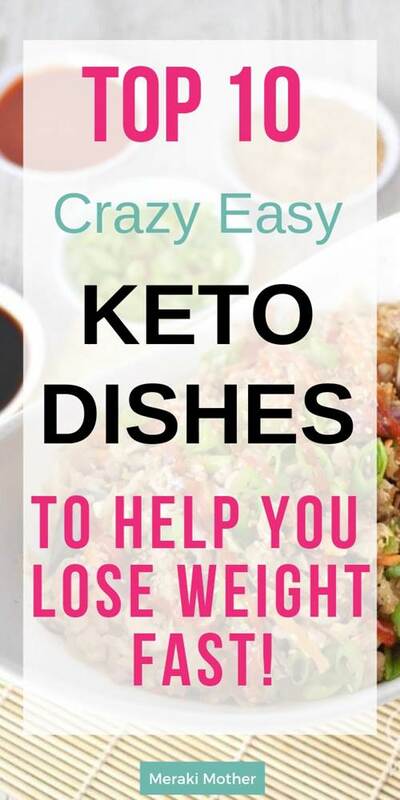 So, get ready for some quick and easy ketogenic cooking and check out our top 10 easiest keto recipes! Healthy, absolutely delicious and ready in no time! This is one of my favorite quick and easy keto meals to make during busy working days because I can take the shrimp straight from the freezer and have the meal ready in under 30 minutes. I have lost count of how many times this recipe saved me at the end of an exhausting day. The best part is that the children don’t even realize it is not pasta! Way to get them to eat more vegetables! 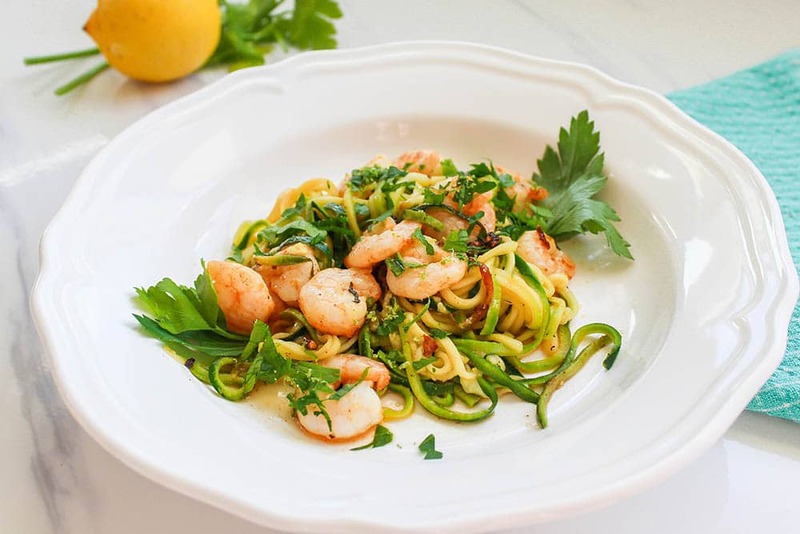 Find here the full recipe for this yummy Garlic Shrimp Zucchini Noodles recipe! 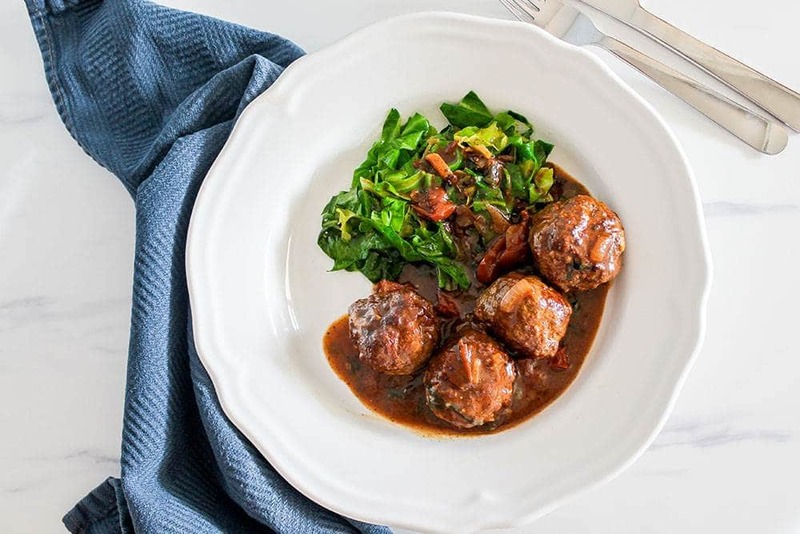 If you are looking for healthy and quick keto recipes with meat, this meatball recipe will be a success with your family. We always look for kid friendly keto recipes because nobody wants to cook different meals for the family, right? Another great advantage of this meal is that you can make the a big batch of meatballs ahead and freeze in separate containers or bags for when you need it. 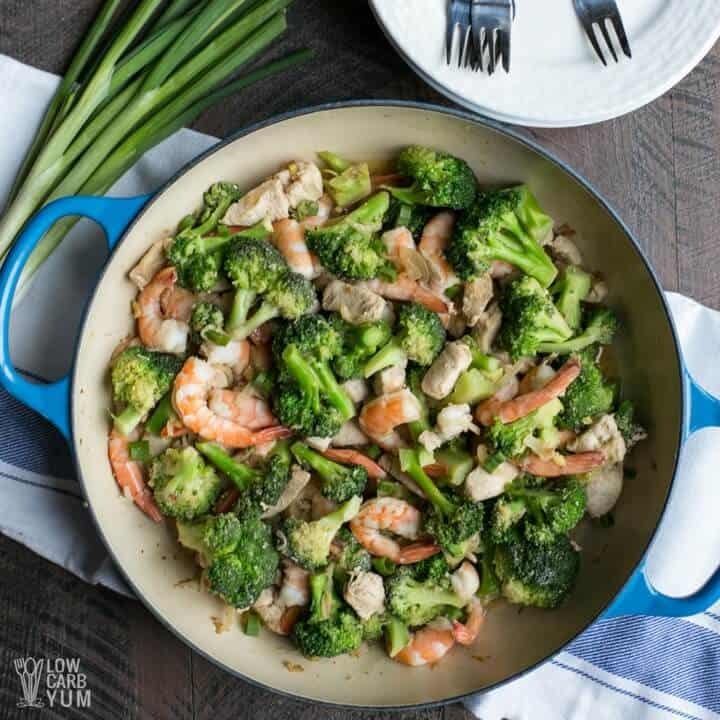 Stir fry type recipes are so convenient for the busy families. It only uses one pan plus you can adapt a stir fry easily to suit your preferences. This low carb and paleo friendly meal can be made in under 30 minutes, even quicker if you get the ingredients already prepped up. 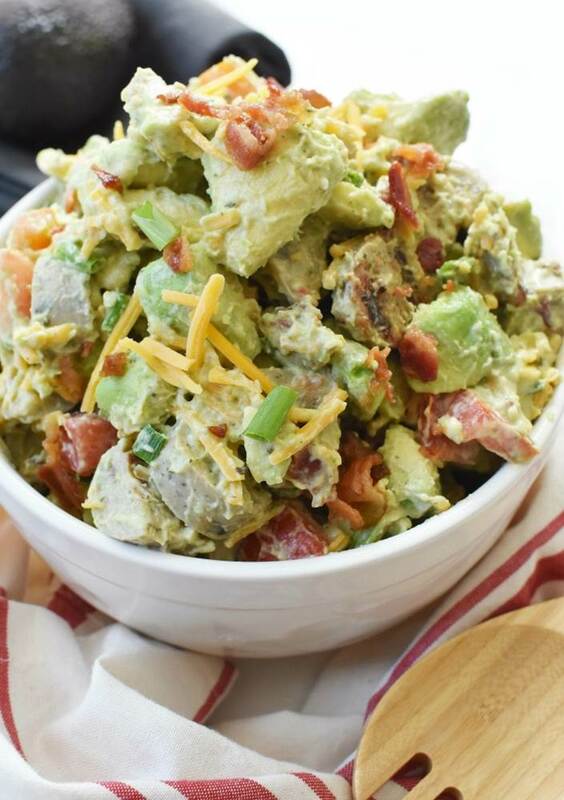 Low Carb Yum has many delicious keto friendly recipes, check this recipe here! 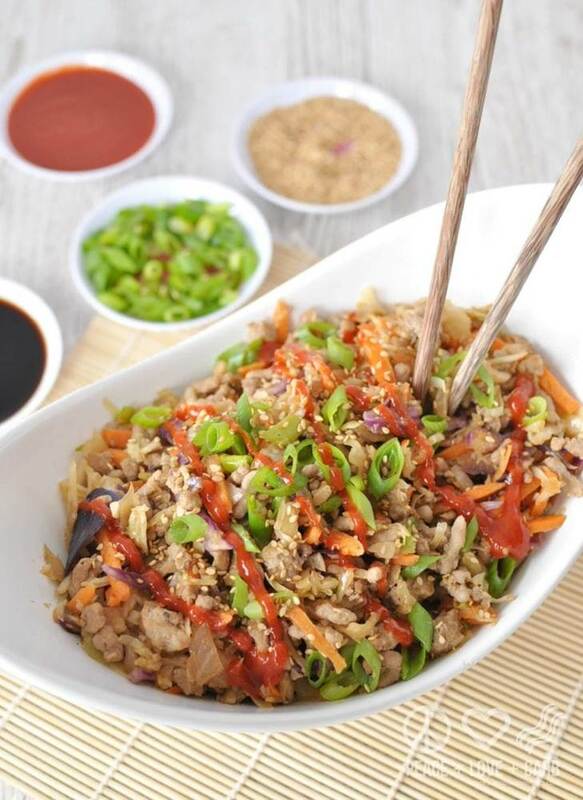 A Crack slaw or pork egg roll in a bowl is one of my favorite quick keto recipes. It is full of flavor and healthy ingredients, reheats well and it done in less than half an hour. Plus you can make variations of any kind using either ground pork, beef, chicken or turkey. It is my go to meal when I have left-overs. This delicious recipe was created by Peace, Love and Low can and you can find the full recipe in this post here! A light recipe for either lunch or dinner. You can make this with either fresh or frozen chicken – perfect for those days when we forget to take something out of the freezer in time! 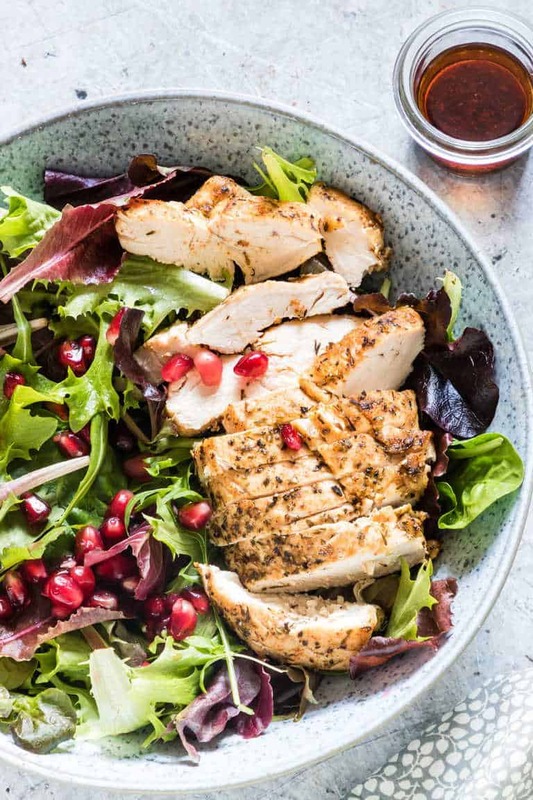 It does not take longer at all for the chicken to be ready in the pressure cooker or Instant Pot®, but while it is getting done you can make a quick salad to accompany the dish. This recipe is from Recipes From A Pantry and you can find the full instruction in this post here! This Low Carb Chipotle Chicken Burger is absolutely delicious. 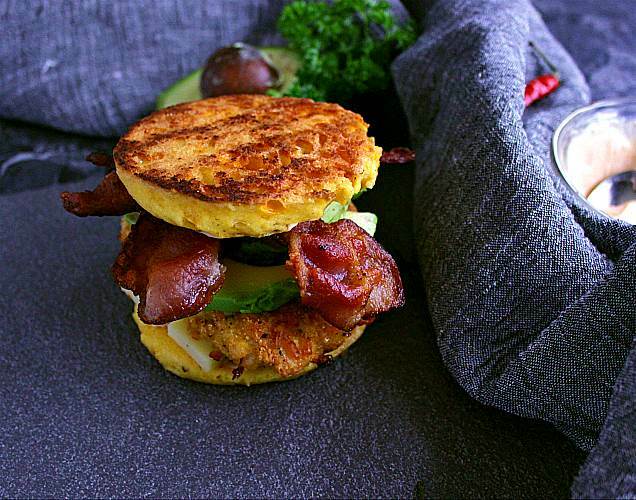 Packed in with bacon, avocado, cheese and other deliciousness you just can’t beat this quick keto burger. You will soon forget that bunless burger is a thing on keto diet! This burger is sandwiched together with a cheesy 90 second keto bun and a chipotle mayo that is full of flavor! This recipe is from Mama Bear’s Cook Book and you can find the full instruction in this post here! Easy for clean-up plus quick cook times make one pan skillet recipes a winner any night of the week! A cast-iron pan makes cooking a delicious and satisfying 30-minute supper or savory sides an easy job to anyone! To make this cheese ground beef keto taco a skillet is all you need to get a wholesome dinner on the table. This recipe is from By Pink and you can find the full recipe here! I love finding new recipes for quickly cooking my family’s favorites using the Instant Pot® or pressure cooker. I have the feeling that I can sit back and relax while my pressure cooker is making dinner! Ok, it is not exactly that but I just love the convenience. 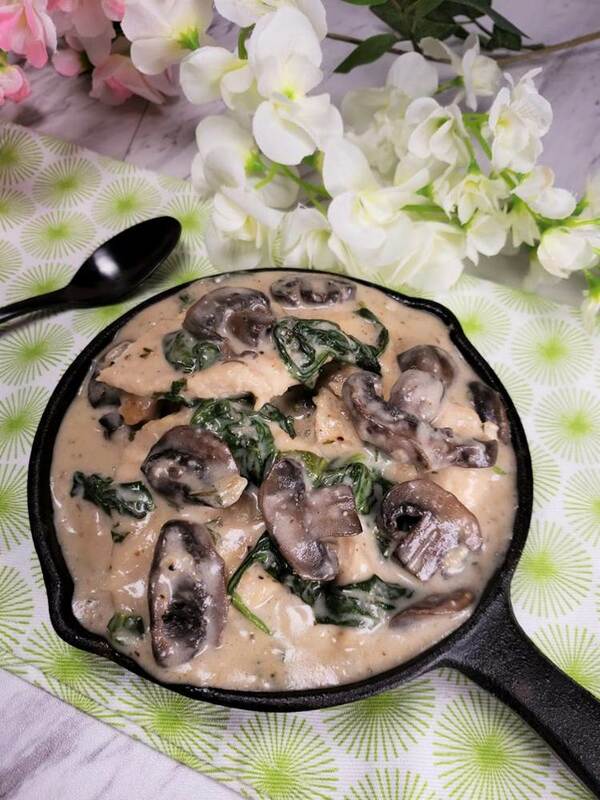 So try this easy Creamy Parmesan Garlic Mushroom Chicken recipe on your next busy weeknight and you won’t regret! This is the recipe from This Old Girl and you can find the instructions in this post here! You think salad is boring? Think again! You can a enjoy delicious low carb salad for lunch or dinner that is full of flavor and keto friendly too. It is actually a misconception to think that on a Keto diet you have to eat loads of meat. This chicken sausage salad is made using healthy ingredients and tons of nutrients! It is juts too good! This salad is from Savvy Saving Couple, check out the recipe in this post here! You can make quick easy keto meals with your Instant Pot as we mentioned before! 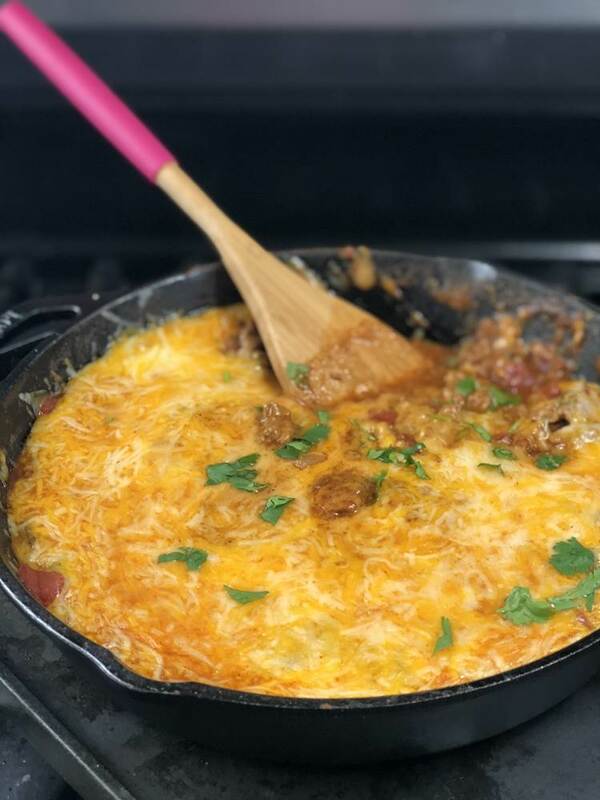 If you’re living the low-carb lifestyle but finding it difficult to adapt to ketogenic recipes, this beef quick keto dinner idea is perfect for you! It is easy to use a pressure cooker to make everything with a keto option, including snacks and filling dinners. 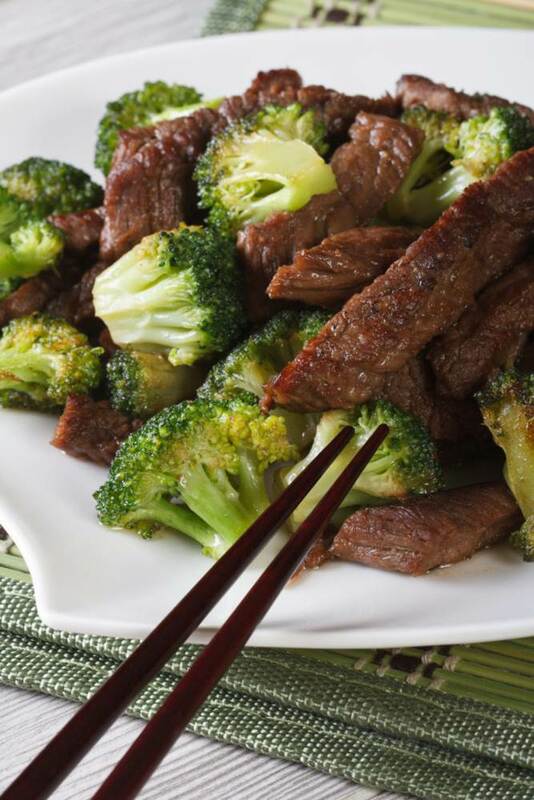 This Instant Pot beef and broccoli meal in from Instant Pot Cooking and you can find the full recipe here! 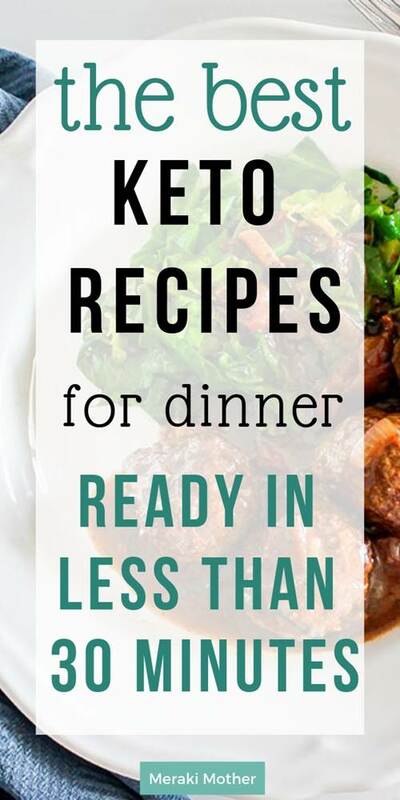 I hope you have enjoyed this list of quick keto dinner ideas! What si your go to quick keto meal? If you need more inspiration for keto meal plan, check this post with the best ketogenic cookbooks! Keto friendly snacks that kids will love too!